Three times as many female members take career breaks compared to males. This can result in disengagement with the profession and loss of talent from the sector. Gender diversity in the workplace is fundamental to business success. Research has shown that companies with more women in leadership positions are more profitable and more efficient. On Thursday 17 November, the North East Young Chartered Accountants Group (NEYCAG), in partnership with Nigel Wright and PwC, are hosting a Women in Finance Seminar. 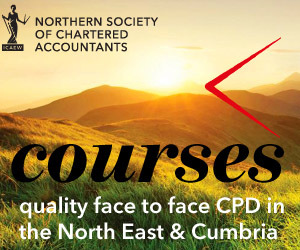 The event aims to provide an “off the record” and informal opportunity for female members of the North East Young Chartered Accountants Group (NEYCAG) to hear about the experiences of senior female finance professionals. Following brief introductions from the speakers, there will be a talk show style discussion addressing a range of topics. Alison Lander – Coutts & Co.
Alison has over 27 years working in the banking industry and has had roles with Coutts Newcastle and the wider NatWest Group. Her role involves providing relationship banking and regulated lending services to a portfolio of High net worth private clients. Her background also includes wealth management and a team leadership role across the Coutts North offices of Newcastle, Leeds and Sheffield. Following graduation, Catherine joined a “big 4” accountancy firm, qualifying as a chartered accountant in 1987. Since then, she has worked in practice and in business, at both PLC and SME level, including as a manager and as a business owner.